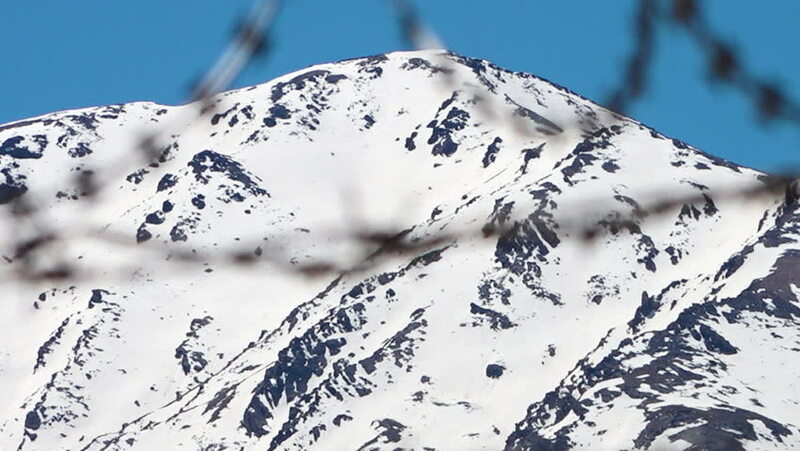 hd00:19A steady shot of barbed wires while a beautiful snowy mountain is in the background. 4k00:50AERIAL: Flight over a freezing pond. Beautiful ice texture, ice drift, ice floes. 4k00:07Snow-capped mountains. Shooting with the drone. White snow on gray and brown stones. Blue sky and light white clouds. The gorge is completely covered with snow. Panorama of nature. Highest mountain.